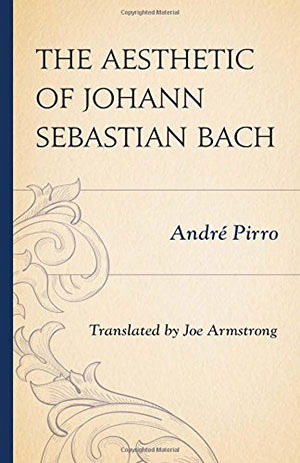 André Pirro’s classic, The Aesthetic of Johann Sebastian Bach brings to life the aesthetic of the master who changed all music since Palestrina, creating a German Renaissance that paved the way for Ludwig Van Beethoven and Richard Wagner. 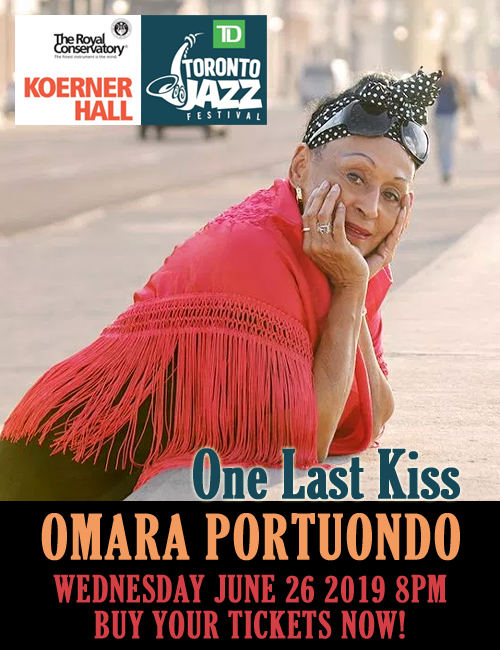 But this book is a triumph not only for its author, but for Joe Armstrong, the man who brings to this translation a nuanced sense of rhythm that captures Mr. Pirro’s subtle cadences in a book of great technicality and breathtakingly beautiful prose. This new edition of an old classic is as precious to appreciators of music (of every hue) and its creators as well as to those who would like to learn about perhaps one of the greatest musicians of all time: Johann Sebastian Bach. The fact that it has only been reprinted twice—first in 1973 and now in 2014; the only edition since its illustrious debut in 1907—is perhaps the greatest cause for celebration for it will not only revive interest in Bach (as if there was ever a need to “revive” interest in his aesthetic), but will create a fresh era for the study of Bach’s music. Its twelve chapters constitute a most extraordinary thesis for Mr. Pirro, who, prodigiously published his book at the young age of 28 years, is first and foremost something to wonder at. And even though it is fitting to admire the idiom in which it is written, which related to music itself and to admire the beauty of the translation, it is first and foremost about the path to discovering the aesthetic of Bach—the man who revolutionised polyphony, perfected the art of counterpoint and about a musical aesthetic that reached ever upward to a fierce and loving God; a divine and omnipresent power who is present in every creation of Bach’s be it sacred or secular. Throughout the six centuries that have covered the existence of Johann Sebastian Bach, there have been studies and exegeses relating to his life and work, from biographies involving his sons to studies by such luminaries as Phillip Spitta, perhaps the most quoted Bach authorities of many an era. Five centuries of works have inspired Mr. Pirro’s exegesis. However, the central thesis remains his own. The work, nevertheless, remains a work of exciting narrative—written as if it were a great Father Brown detective novel. It is a book written as much in praise of the Master as it is an attempt to arrive at the very essence of Bach—his personality and being—as it is one that sets out to, and arrives at his aesthetic with near pinpoint accuracy. To do this Mr. Pirro has quoted from numerous examples of Bach’s work. In fact there are times when it feels as if a complete text of some of his music might magically pop up at the turn of a page. However these quotations, all of them poignant examples of the inner machinations of Bach’s mind as well as his musical virtuosity, all point in the direction that is travelled as an almost epic journey towards the final destination of Mr. Pirro’s hypothesis. Here it will be hard for musicians and vocalists to resist singing along the fragments and slightly longer passages. As a result, the music comes breathtakingly alive. And for this it is pertinent to thank Mr. Pirro for his selections and their appropriateness and relevance. Then there is the element of the writer’s style. Here Andre Pirro is a poet and lyricist as well. His writing explores his subject in an idiom and metaphor that is almost as melismatic as Bach’s music. It seems impossible for Mr. Pirro to describe a sequence in Bach’s work without first becoming a poet himself. Here is a random sample of the poetry of Mr. Pirro’s writing as he describes the essence of Bach’s writing: “Paralleling his passion to discover all the resources of his art is Bach’s other essential trait—his obstinate resolution to make it, in some way, the tool for captivating our imagination.” And then he proceeds to describe this legendary pursuit in a manner that is lyrical, almost ready to be sung: “But he must first guide us and show us where he wants to lead us. So he marks the way, relentlessly, with the fierce insistence of his motifs, the irresistible rigor of his rhythms and the meaningful intensity of his harmonies. In this unfurling of power he creates an auditory triumph, and he infuses it with so much energy that he feels himself entrusted with a lofty mission. He offers himself as cantor of the Holy Scriptures, and, in composing music for sacred texts, he dedicates himself to explaining them explicitly, afraid only that a single word might be lost from them.” Here the poetry of the writing becomes fused into the ethic of Bach’s work. It also becomes clear from the very outset that Johann Sebastian Bach is first and foremost and apostle of Christ and it is a precursor into showing how Bach (changes from following the Jesuits of his youth and) how he becomes a faithful disciple of Martin Luther. From then on André Pirro works relentlessly to show how Bach’s God, while a forgiving God and a just judge, is also a fierce and omnipotent force in his music demanding absolute obedience in all things—not only spiritual—but also in matters temporal and with this Pirro shows how, with technical brilliance, Bach creates motifs and melismas that parallel the grace of God in imparting (almost) Bach’s gift for depicting musical accompaniments for the recitatives, cantatas and arias ascribes to both his sacred music especially in perhaps the most quoted and greatest of Bach’s works, his St. Matthew’s Passion and to his secular music, which—it is showed later—parallels his sacred repertoire, even as it might devolve into instrumental work. As an example, Pirro offers The Brandenburg Concertos. The music of the concertos, if perused from the depth of the soul, would surely link up with one of Bach’s sacred cantatas or arias. The motifs and melismas defining the Brandenburg’s would correspond to an aria or a cantata featuring the praise or worship of Divinity in several sources for Bach first and foremost was a religious composer, schooled in the strictest Lutheran principles and , moreover, in his recitatives and hymns as well. However the reverse is also true and Mr. Pirro shows how Bach also created music religious majesty by borrowing from secular sources. The lullaby that the virgin sings [in the Christmas Oratorio, 1734–5] beside the newborn child is drawn from a [secular] cantata composed for the anniversary of the crown prince of Saxony (5 September 1733). In this work—entitled Dramma per musica: Hercules auf dem Scheidewege (Hercules at the crossroads)—the character Wollust (Voluptuousness) beckons the young god to sleep: “Sleep my darling, and take your rest. Follow the lure of burning thoughts . . . .” In the Christmas Oratorio we have the words “Sleep my beloved. Enjoy your rest, after which you will awake to greet everyone . . . .” Gustave Engel claimed that the difference between the sleep of the sinless infant and the sleep to which Wollust invites the young hero is really too great for the music to reflect either of them. There are several examples like this one where Bach’s ingenuity in transposing the secular to the religious, by Bach, in this regard in Chapter ten of this magnificent book. Mr. Pirro also gives further examples of Bach’s affinity for the secular how in the Capriccio for solo clavier written on the departure of his “beloved brother,” Johann Jakob, to join the band of the Swedish guard. despite pointing out the relation of certain motifs in the various Capriccio movements to themes in the sacred cantatas. But André Pirro’s narrative and study begins before that; as a matter of fact it begins with the direction of Bach’s motifs. The ascending and descending ones and this, in turn, relates to their meaning—both literally as well as figuratively. What, for instance, was the composer thinking when he had a soprano singer voice an ascending arpeggio at an appropriate meaning in the text? And what did a tenor prompted by a poignant basso continuo; suggest by voicing a descending one so surrender deep that it seemed to drop down into a bottomless pit? In more cases than one the ascending one suggested ascent into heaven and the descending one the descent into the hell of dark angels, where there was no salvation; but only if, before the total descent could come the only retribution and ascent could come from complete submission to God’s will. These are explained in the examples of Psalm 130, “De Profundis,” (out of the depths) set in German. To explain this phenomenon Mr. Pirro quotes from Aus der Tiefen and two and the two bars where the ascent is depicted by a soprano, then an alto. Several bars later, the bass voices span a whole octave to reach down to low D—then low C notes whose use is extremely rare. “In the cantata, Trit auf der Glaubensbahn, says Mr. Pirro, The words “The Lord was placed in Israel for the fall and the resurrection” are mirrored in a musical phrase in which the very low note suddenly occurs on the work “Fall” and then the motif rises up on the word “resurrection”.” Such examples abound throughout the book and the reader is treated to them with great depth and ad infinitum and in the grand manner of Bach’s various works. This is not only in the direction of a motif, or a whole melisma, but also in the creation or formation of motifs as well. Here the reader is treated to interpretations of themes composed of repeated notes, fragments of scales or arpeggios. Once again, copious examples explaining this part of the thesis abound and the reader is treated to some that has him or her catch his or her proverbial breath as they discover with astounding surprise, compositional excellence as was never imagined until Bach began to explore these techniques. Throughout the reader is treated to poetic language from Bach’s music, Pirro’s writing as well as Joe Armstrong’s translation. Themes of distress and horror are dealt with in great detail as are chromatic motifs. The reader is treated to Bach’s musical modus operandi as he gets into the skin of his characters who experience despair and how this is resolved through the employment of ascending chromatic motifs to express the idea of redemption and of transfiguration through pain. 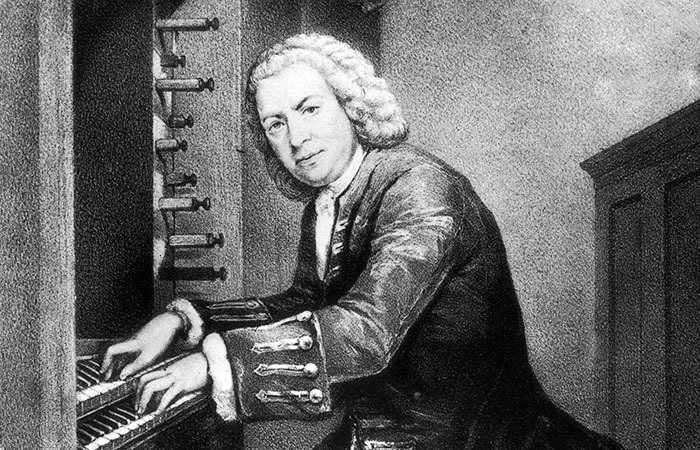 Bach’s obsession with the precise motif to describe concrete image and emotional trepidation is dealt with in great detail, through the examination of the rhythmic formation of motifs, contrapuntal devices through simultaneous melodies. As the book progresses Mr. Pirro seems to get more excited by his uncovering of facts almost as if he were finding secrets; breaking the code to Bach, as it were, or as Bach did on the swing of his learning curve, trudged through merciless countryside to find out the secrets to his favourite musicians. Whatever it is he is doing, Mr. Pirro is sharing with his readers the results of an epic journey through Bach’s life and music and his star in a constellation in the firmament of German musicians who came before him and whose work the master admired. Mr. Pirro also deals in great detail about the use of commentary from the instrumental accompaniment. Here the reader is treated to Bach’s singular attachment to sacred scriptures and even when he is writing music that is secular in nature he is consciously or unconsciously (probably both in good measure) digging deep into his Lutheranism to find the direction of motifs, contrapuntal allusions, ideas of unity, continuation and obligation and because of the nature of Bach’s music as well as Mr. Pirro’s ingenuity at revealing this readers find anew, the joy of bright motifs, the motif of tears, calm tumult, motifs of sleep peace and death, all of which Bach dealt with assiduously and with celebrated perfection. In the chapter on orchestration, Mr. Pirro is most inspired as he all but gets into the mind of Bach as he is choosing the instruments to write his orchestrations for. There is a sense that musician and writer are one of mind and spirit here as elsewhere and the reader comes to an understanding as to the detailed machinations of Bach’s inspired mind when he were is composer-mode. The book would not be complete without Mr. Pirro’s detailed analysis of how Bach interpreted text and how this affected the principal compositional forms in his vocal music. Also how his compositions joined, successively, to texts of different natures affected his music. And then there is a detailed analysis of expression in Bach’s instrumental and, as mentioned earlier, how he found inspiration in his deep understanding of religious motifs. The fact that all this came about because Bach was an essential figure in the space and time of German nationalism of the day and because of his deep sense of his place in history, he is not only connected to early music from Palestrina onwards, but the fact is he was also aware of all that was happening in the music—especially in the religious and secular music of Italy and France—at the centres of the world at that time and how this shaped Bach’s own thinking, be it as far as his religiosity was concerned as well as his art. If a most interesting chapter were to be suggested—although there is nothing in the book that is uninteresting—that would be the final one, dealing with Bach as cantor. For this is what formed the heart of the aesthetic of this great musician especially in his meaningful existence as a German cantor as well as in the revolutionary figure that he grew into becoming as he forged the ascension of German musical aesthetic that was to follow in the music of Ludwig Van Beethoven and Richard Wagner. At the end of it all, though the reader is left with the feeling that the book belongs not only to the Germany of Bach and to Bach himself, but in its very articulation of Bach and Germany it transcends time and space, defying limitations of history and ethnicity, nationality and even culture. This book, like literary classics, captures and articulates passions and urges, aspirations, joys and anguish that are shared by all individuals no matter where they live and what language they speak. Mr. Armstrong… It was a distinct honour! How wonderful it is to read your writing on Pirro’s book! As translator, I don’t think I could have hoped for any better appreciation than yours. Somehow, it makes all the hours I spent on it worthwhile in a very special way.